Cabelas Big Game Hunter Ultimate Challenge PlayStation 1 PS1 Complete Tested! 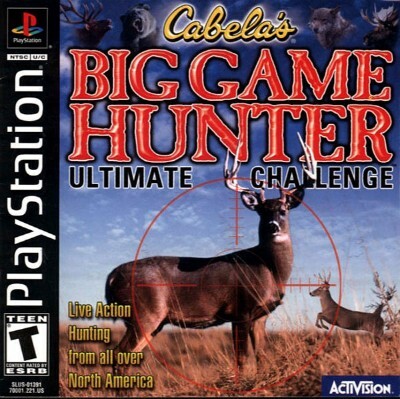 Cabelas Big Game Hunter: Ultimate Challenge (PS1, 2001) COMPLETE/FREE SHIPPING! Cabelas Big Game Hunter Ultimate Challenge - Sony PlayStation 1 PS1 COMPLETE! !